Thank you to Dave Ramsey’s ELP Program for sponsoring this post! As many of you know I’ve been working in the real estate industry for the past 16 years. It’s been quite a journey with plenty of highs and lows, especially over these past years with the extreme housing boom of the early 2000s to the downturn that started in 2008. Luckily things have now turned for the better and the market is back in full swing. New home construction is climbing again and resale homes are selling in record time in some areas of the US. Now really is the time to buy a new home. Last year I shared with you guys my 15 Tips for Selling Your Home, but now I’m sharing some of my favorite tips for BUYING a new home. 1. Find the Right Realtor. Buyers who use a buyer’s agent pay an average of 5% less than buyers who don’t, a difference of $7,500 on a $150,000 house (according to Dave Ramsey’s ELP Homebuyer’s Guide). And the best part? A buyer’s agent will cost you NOTHING. The seller of the home must pay for your agent’s commission. Even if you think you can purchase without an agent to get a lower price, a buyer’s agent can help you negotiate the best price and is working for YOU, not the seller. I’ve always heard the saying “There are three rules in real estate: location, location, location” and trust me, this could not be more true! The location of your new home will factor into your school district, taxes, utilities, and resale value of your home down the road. Is the new home close to your work? Will you spend more in gas driving back into town? Will your kids have to switch schools? Are the home more expensive in this part of town? Oftentimes choosing the location first can help you narrow down your new home search. 3. Strengthen Your Credit Score. 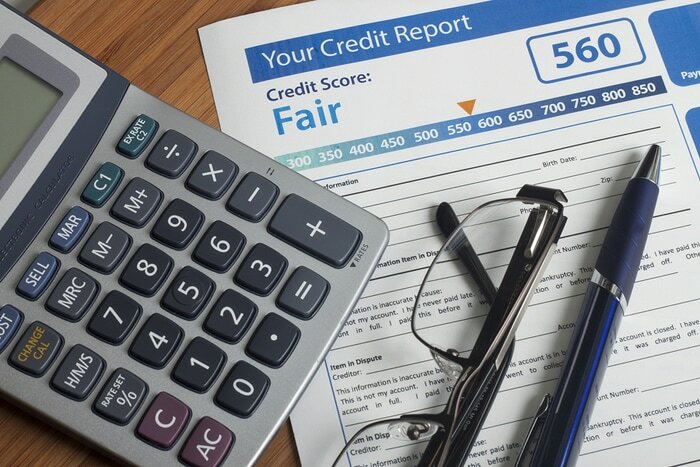 Check your credit score and make sure there are no discrepancies in your findings. If you do find something, address the issues with the credit agencies so you can move forward with securing a loan. 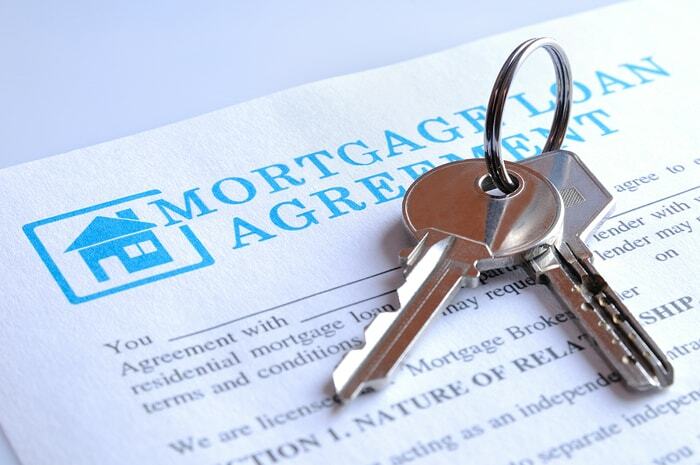 When we purchased our last house we found that we had a mark on our credit saying that we hadn’t paid the mortgage on our home in June and July. The only problem? We CLOSED on that last house in May! Yep, somehow the payoff of our loan got lost in the shuffle when the mortgage company switched names. The issue only took a few days to fix, but it was lucky that we caught it early when reviewing our credit score. Need help getting your credit score back on track? Check out How We Paid Off $20,000 in Credit Card Debt! 4. Decide How Much You Can Afford. You might make $250,000 a year but that doesn’t necessarily mean that you should purchase a $1,000,000 home. Or maybe you only make $30,000 but want to buy a huge 2,500 square foot home for your growing family. THINK BEFORE YOU BUY. Think about mouths to feed, car payments, college tuition, retirement, savings, etc. Think about not becoming “house poor” and having to use your credit cards or living paycheck to paycheck. Also think about what makes YOU feel comfortable. Maybe you like to travel? Or have three daughters and would someday love to pay for their weddings? Don’t just buy a big house because you can or want, simple as that. 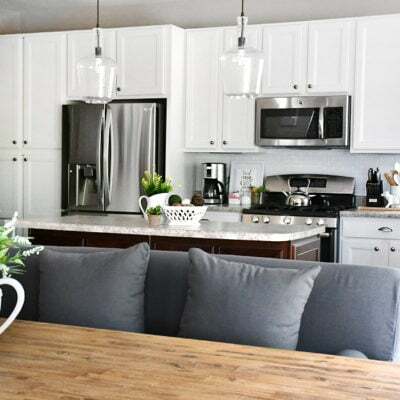 Stay conservative and look for homes in a price range that will keep your mortgage payments to about 25% or less of your take-home pay for a 15-year note. If you’re looking for a little bit of guidance, check out Dave Ramsey’s Home Affordability Quiz. 5. Down Payment and Closing Costs. With some programs you have the option to pay anywhere from zero money down (like a USDA loan), 3.5% down, 5% down, 20% down and more. If at all possible, save for a 20% down payment. Trust me, this will put you in the best financial position for your future and keep you from paying any private mortgage insurance (PMI). Closing costs are typically 3-7% of the price of your home and include loan origination fees, title insurance, appraisal fees, etc. Sometimes you will be lucky enough to roll some these costs into the purchase price of your new home or have the seller pay towards some of the fees, but do NOT depend on this. Instead save up the money before you’re ready to purchase. Then if those funds are not needed when you close, at least you’ll have a nice little nest egg! 6. Find a Good Lender. Don’t be scared to shop around for lenders! Your brother might be a mortgage loan officer in a local bank but guess what? You don’t have to use them if they aren’t going to save you money! 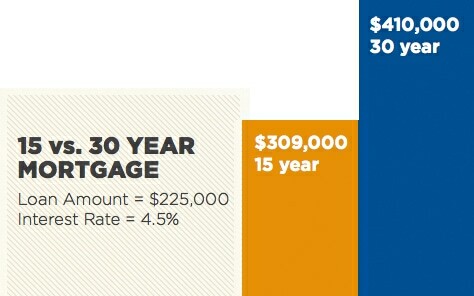 Remember you will be paying this loan amount for the next 15-30 years. Do NOT use a friend because you feel you owe him a favor. This is your life, your money, your future. Make sure your lender can explain things in easy terms and are easy to talk to. Again, just shop around to make the best decision for your family. 7. Get a Pre-Approval Letter. I would actually recommend finding a good lender before you’re even ready to shop for a new home. Why? Because you want to be able to walk through that home with a pre-approval letter in your hand. If you were to fall in love with that home and a bidding war ensued, the person with a pre-approval letter might get the deal because they’re not finance contingent. Another great reason to have a pre-approval letter? It will narrow down your search for how much home you can afford. 8. Pick a Mortgage Option. When talking with your lender, make sure you discuss all of the mortgage options. How much down payment you’ll put down. 15 year loan vs. 30 year loan. Fixed mortgage rates vs. adjustable mortgage rates. FHA, VA, USDA, private mortgage insurance… yeah, there’s a lot to learn. Lean on someone in the industry to help you pick what’s best for you. 9. Experiment with a Mortgage Calculator. You usually hear about a 30 year conventional loan but more families these days are considering the 15 year loan. Why is that? The amount of money you can save over those 15 extra years! The difference between a 15- and 30- year mortgage with a 4.5% interest rate on a $225,000 home is $101,000 over the life of the loan. What could you do with $101,000? A lot I’m assuming. And just think if you invested that money! For more help on this, check out Dave Ramsey’s mortgage calculator HERE. 10. Don’t Make Major Purchases. I cannot stress this one enough! It’s unbelievable how many people try to buy a new car or engagement ring or even a boat right before they close on a home. Yeah… not too smart. The home mortgage loan you are applying for is not 100% guaranteed until the day you close. Try not to use your credit cards and definitely don’t take out any other loans. Now is the time to SAVE! Ok, so now you’re looking for a new home. You’ve found one online that you think you like and would like to tour. SCHEDULE YOUR TOUR NOW with your real estate agent. Seriously, don’t wait. I’ve heard of so many friends that thought they could wait until the weekend to tour a home they liked and guess what? It was under contract by the weekend. Or take our last home for example: we had three families walk through our home that morning and all 3 put in an offer… all before 11am! We even had a bidding war and got more than asking price. Crazy, yes… but it does happen! Just make sure you’re ready to move fast to tour a home that you see online or that your agent suggests to you, then be ready to put in an offer if you love it. Why do you need to take a real estate agent with you on these home tours? Because they have no emotion tied to the house. 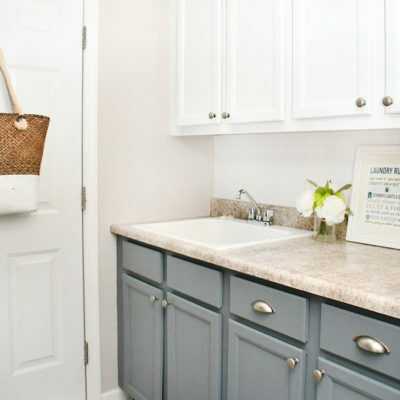 They know exactly what you should be looking for when you’re touring the home and can point out things you might not see (or want to see!). Dave Ramsey’s Endorsed Local Providers are real estate agents with years of experience helping people buy homes. They take that experience to the negotiating table, and make sure you get the best bang for your buck! 12. Do Your Research on the Home. If you like a certain part of town or neighborhood, do your research on listing prices and what they actually sold for. Your buyer’s agent should be able to print you out a recent listing from the MLS that show all of this data, plus how many days surrounding homes normally stay on the market. Make sure you take into account: location, the current market, condition of the home, neighborhood, and the age of the home. If you do notice that a home you’re looking at is over priced or has been on the market for awhile, don’t be afraid to negotiate! And this isn’t only for resale home. Yes, it can work with home builders too, especially towards the end of the month when the builder is trying to unload inventory or hit their budget. 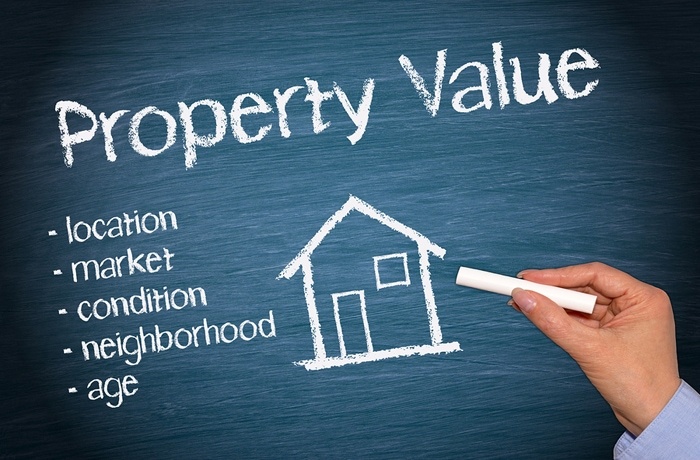 Remember you can ask for money off the price of the home, the buyer to cover some closing costs, and inspection fees. Make sure you get all information about the neighborhood before you purchase. One of the biggest surprises to most home buyer’s is the homeowner’s association (HOA) fees. This can be anywhere from a couple hundred to a few thousand dollars a year depending on the community and amenities. Also ask about the neighborhood’s rules, regulations, and bylaws for information on fences, irrigation systems, common ground, landscaping, etc. 15. Get a Home Inspection. And finally, please make sure you get a home inspection! Inspectors examine the home’s condition and look for problems you may not have noticed such as a leaky roof, electrical wiring not up to code, termite infestation, etc. Think of it as peace of mind on probably the largest purchase of your life! the 15 best tips I can give you when trying to buy a new home. 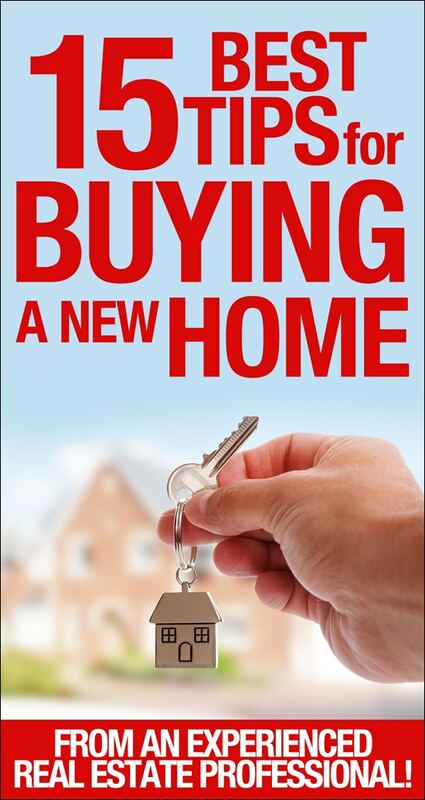 you can download a PDF of the Dave Ramsey Home Buyer Buying Guide. What’s YOUR best home buying advice? make sure you check out my 15 Best Tips for Selling Your Home. but all opinions are my own! Thanks so much for these tips! We’re currently working on paying off all of my husband’s student loans before we buy a bigger house. I’m definitely pinning this post for later! SO SMART!! Keep up the good work and you’ll be moving in no time. Good luck!! Thank you so much for this post! Just what I needed to read. My husband and I are looking to buy soon, thanks for the tips! You’re welcome! Hope it helps. Good luck!! I appreciate your suggestion to do some research on the neighborhood and real estate listings you are considering so that you can find out things like average prices and how old the home is. My husband and I are in need of a larger piece of property since our family is growing quite fast. We will definitely make sure that we do some background research on the house we are considering so that we can be prepared. I appreciate you mentioning the importance of finding the right realtor when buying a home. Just like you taught, buyers who use an agent usually spend around 5% less on their home. Being newlyweds, my wife and I want to save as much money as we can when we purchase our home, so it might be wise for us to get a realtor. Thanks again! Very useful, thanks so much for these tips! 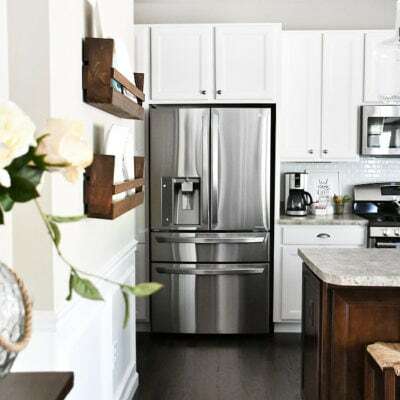 It sure was nice how you said that the location of the home that we will choose will have a huge impact on my work and the children’s studying, so it’d best to look for a home that’s near to necessary locations so as to narrow down the search. The location was the first thing that my mom told me when I said that I wanted to buy a house, and now I know what she means. I will be sure to research the areas that are close to school districts and other important establishments. Thank you for the tips! I do appreciate your suggestion of getting the home inspected in order to determine the potential problems in the house that the person might otherwise miss. This is something that I will be sure to mention to my sister since she is planning to get herself a new house soon. Since she knows nothing about inspecting a home, she ought to hire one who can. Thank you for sharing this. I appreciate how you suggested taking the time to get a pre-approval letter from a lender before getting serious about a home. I’d like to move into a home this year, but it would be my first home. I’ll definitely look into getting pre-approved to help ensure I’m ready once I come across a home I love. Thanks for the tips for buying a new house. My wife and I really want a new home for our growing family, so this is great. I’ll be sure to take your advice and find a buyer’s agent, especially if it won’t cost me a thing! 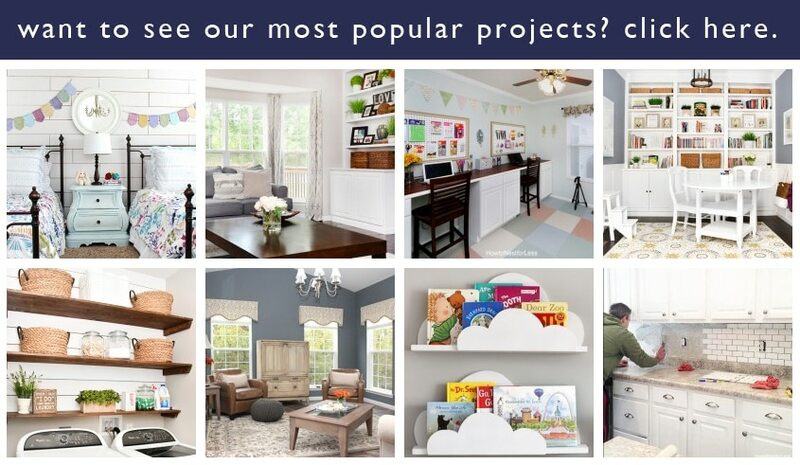 We love to conquer DIY, home improvement projects, and room makeovers. We're not experts; we just try to design on a dime. All text and images on this site are copyright of How to Nest for Less, LLC. Unless otherwise noted, you may not use this content without written permission. This blog accepts forms of cash advertising, sponsorship, paid insertions or other forms of compensation. The compensation received may influence the advertising content, topics or posts made in this blog. That content, advertising space or post may not always be identified as paid or sponsored content. How to Nest for Less is a participant in the Amazon Services LLC Associates Program, an affiliate advertising program designed to provide a means for sites to earn advertising fees by advertising and linking to amazon.com.